We provide onshore and offshore technical support to offshore clients’ first line core crew to enable them to undertake routine maintenance with confidence. Specialist equipment maintenance can be carried out on a campaign basis, working with clients to effect maintenance system rationalization and cost savings. We respond quickly and efficiently to unexpected breakdowns that a client may incur, and have the ability to dispatch our service technicians to anywhere in the world. Let’s face it — repairing or replacing your heater or air conditioner can be a very costly and frustrating process. It’s not something you do often, so you don’t have a lot of experience to draw from. You can ask a family member or friends…but it’s likely they have not had a recent experience with a job like yours. We offer 24/7 Emergency Service to all of our customers. 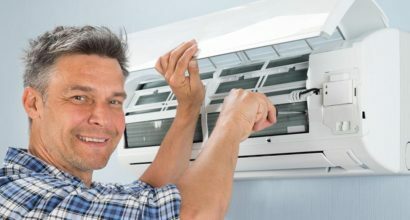 You can always contact AC Maintenance Dubai Experts to get to you fast and get the job done right the first time. We use state-of-the-art diagnostic equipment to find the source of air conditioning problems and fix them fast. Next to Spectrum Hotel, Near Union Metro Station Deira Dubai. Dear Customer! Click one of our representatives below and we will get back to you as soon as possible.